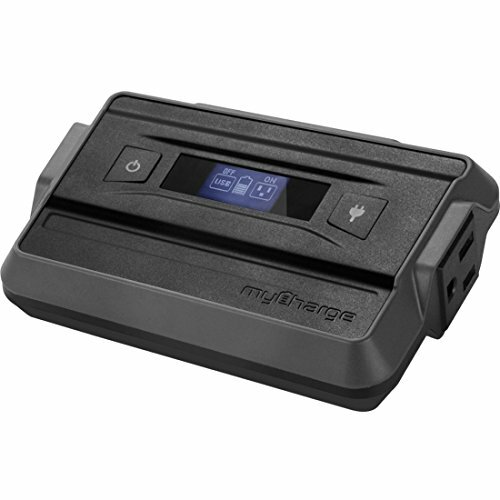 The AdventureUltra is one of our largest battery banks and has the highest power output. Designed to replace the heavy and bulky generators used when tailgating or camping, the AdventureUltra is a streamlined power source that can run a 32-inch LED television for up to three hours. The AdventureUltra has a maximum power output of 45 watts, enough to run a fan or recharge a drone battery. It can also be used with 2 in 1 laptops and new laptops, such as the 12-inch MacBook, that require less than 45 watts either when powered off and solely charging or when powered on and charging simultaneously. TAILGATE & CAMPING COMPANION: Designed to replace heavy and bulky generators and extend the life of your electronics when out of reach from a consistent power source (laptop, tablet, smartphone, bluetooth speaker, lights, fan, camping and outdoor accessories and much more - even powers a 32-inch LED television for up to three hours!